1. 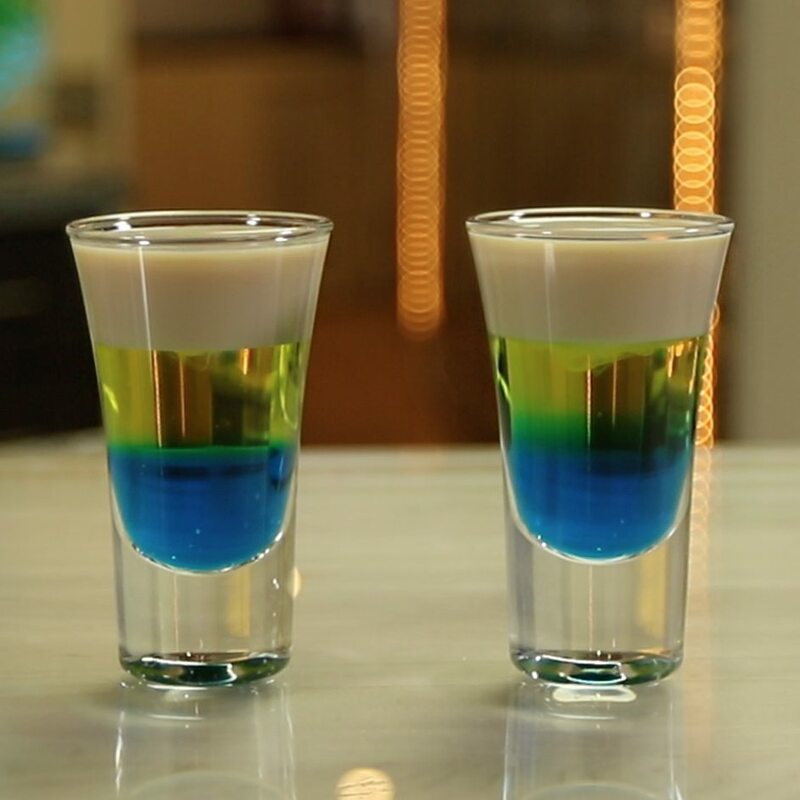 Add blue curaçao to base of shot glass before gently layering creme de banana on top. 2. Finish by layering Irish cream and shoot.